Interested in upcoming hardware from Google? Or a much-anticipated video streaming service from Apple? We've got all the tech news you need, courtesy of our friends at TechRadar, including new Garmin smartwatches and an update to Android Messages. 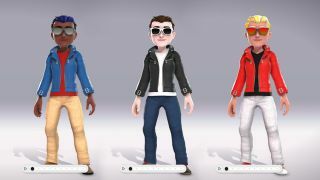 If you're an Xbox Live member wanting to make a cartoon representation of yourself to show off to the world, you're in luck – the long-awaited avatar builder has started rolling out to users signed up for those in the Xbox Insider program. It offers a host of customisation options and should be arriving for everyone in the not-too-distant future. Google hasn't given up on trying to take on the might of Apple's iMessage, and just debuted a new feature for its Android Messages app – web access. It's not available for everyone just yet, but it allows you to send texts and pictures to your contacts using your browser, with all your conversations synced up neatly with the chat history on your phone. For a long while now, the word on the Apple street has been that the tech giant is preparing a Netflix rival. New reports from insiders and analysts suggest the video streaming service could cost less than Netflix per month, and might even be bundled with Apple devices for free. As for a potential launch date, we're still in the dark on that. Garmin is well known for making some of the most sophisticated smartwatches around, and the upgrades to the Fenix 5 range that it just unveiled won't damage that reputation at all. Included in the improvements are the introduction of Garmin Pay for contactless payments, offline music storage, and built-in maps for navigating from your wrist. The latest leaked information about the upcoming Google Pixel 3 XL smartphone suggests it's going stick with a single lens for the rear camera – but we wouldn't worry about the phone getting left behind by dual-lens models in the mobile photography stakes. The quality of the lens, plus Google's smart image processing, should ensure top quality snaps.